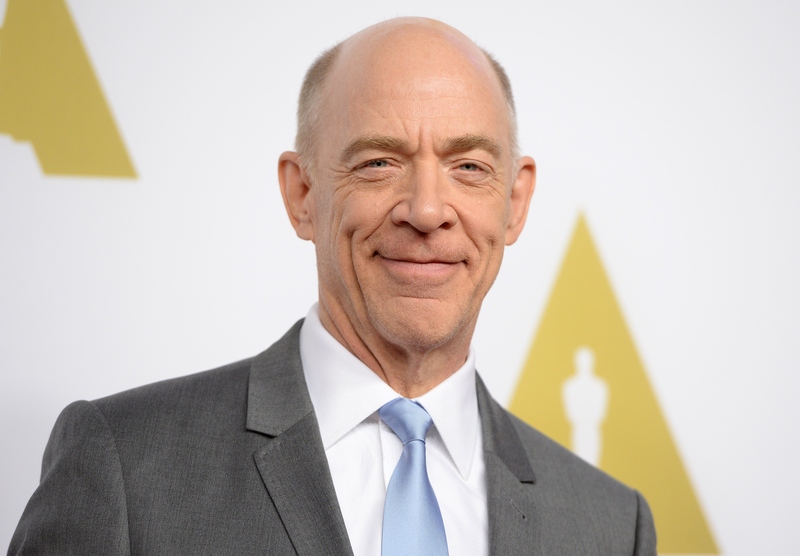 At Sunday's Academy Awards, J.K. Simmons took home the Best Supporting Actor award for his performance in Whiplash . For those who have seen the film, this recognition comes as little surprise. Simmons portrayal of an abusive music instructor opposite Miles Teller is terrifying and brilliant. For the uninitiated, the film follows a promising college-aged drummer (Teller) who falls into the classroom of a cut-throat instructor (Simmons) who will stop at nothing to achieve perfection in each of his students, even if it comes at a mental and physical cost. In J.K. Simmons' acceptance speech, he gave a shout out to his wife and his children. "Call your mom," he said. "If you're lucky enough to have parent's alive, call them. Don't text them, call them." J.K. Simmons also took home the Best Supporting Male award at the 2015 Spirit Awards, joking backstage that when fans approach him on the street and are scared, he "enjoys it." Other contenders nominated for Best Supporting Actor at the ceremony included: Robert Duvall for The Judge, Ethan Hawke for his 12 years of dedication and work acting in Boyhood, Edward Norton as a egocentric actor in Birdman (or The Unexpected Virtue of Ignorance) and Mark Ruffalo for his portrayal of real life Olympian Dave Schultz. All the actors were certainly worthy contenders, but it's safe to say J.K. Simmons' transformative role out-shined them all. Watch a clip from his performance below, followed by his Oscars acceptance speech.